I LOVE AMERICA!! & I LOVE DOUGHNUTS!! 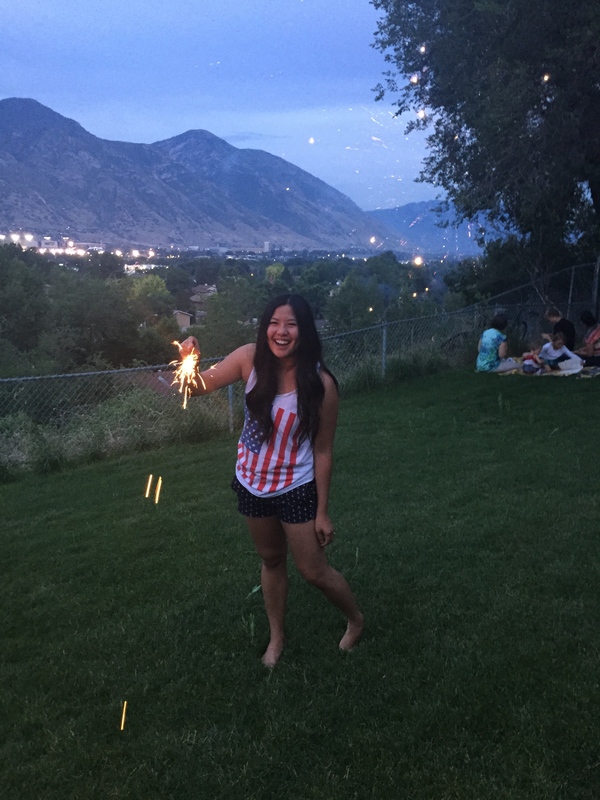 In recent events, AKA (Ariana Granda saying that she hates America & also licks a doughnut at the doughnut shop LOL) I decided to blog about my 4th of July weekend. & also, in my last blog post I promised to start staying on top of my blogging!! So here I go!!! Steven: will you marry me? Liz: lol YESSS of course! Okay, I know that was a little cheesy. But spending these little moments with your favorite person is the best thing in the world! We try to make it our priority to go on dates like these. Yes, I want the days to go by fast so we could just get married already but we also have to remind ourselves that you’re only engaged once and to go on a lot of dates to get to know one another more!! ahhh I just love LOVE. Last Friday, I had absolutely no work!! So HIP HIP HOORAY HIP HIP HOORAY! 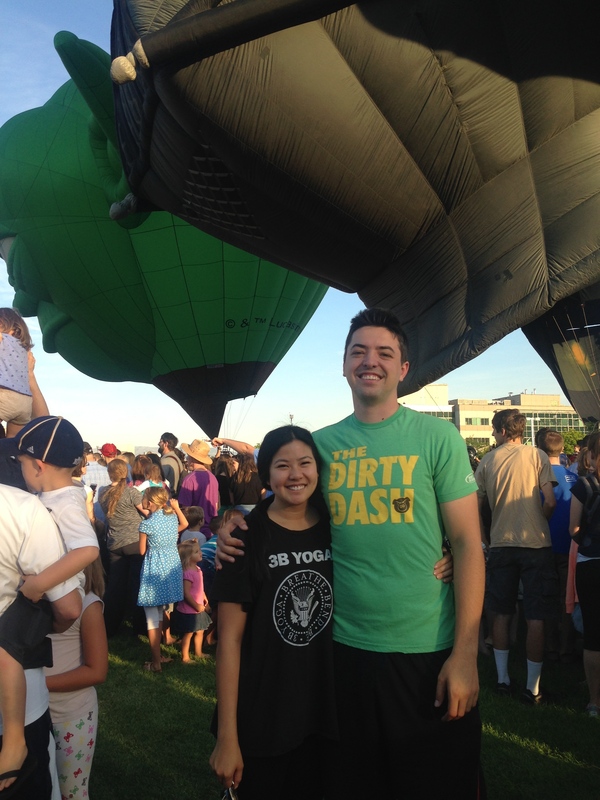 But, I did wake up at the crack of dawn to make it to the hot air balloon festival!!! The last time I went to that was with my first roommate at BYU back in 2010! I woke up at 6:30AM and rushed to get Steven from his apt.. and as I was leaving I saw balloons in the air!! So i raced to his house to pick him up before we miss ALL the balloons go up!! 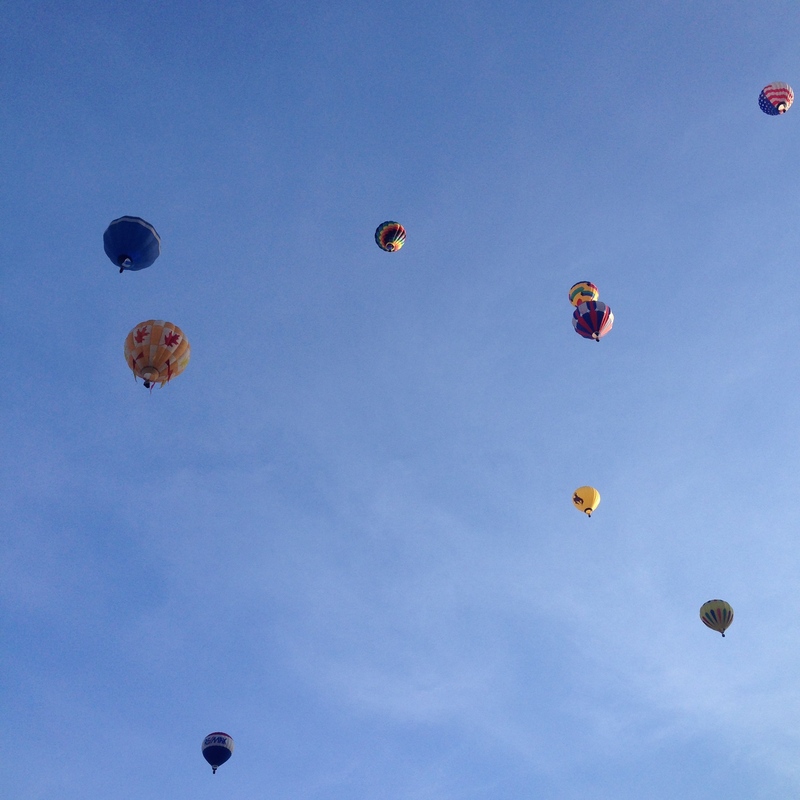 Unfortunately, we missed all of the balloons going up hahaha but it was fun seeing them in the sky. We also met up with Myunghee & Brian so that was fun! 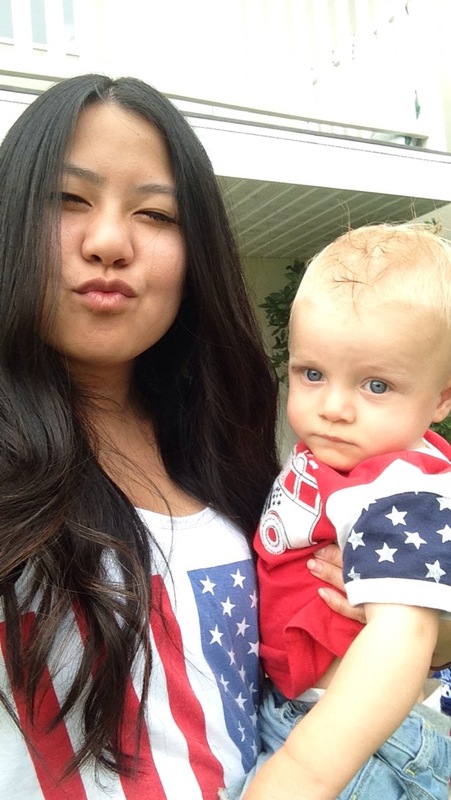 JULY 4TH, 2015 – HBD AMERICA!! 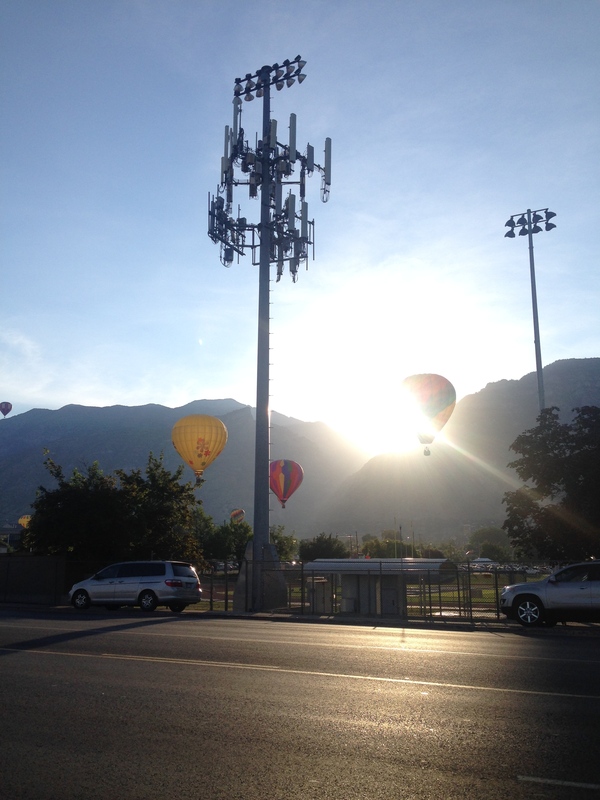 Steven & I woke up early to drive to Sandy, UT for a basketball tournament in Pepperwood! 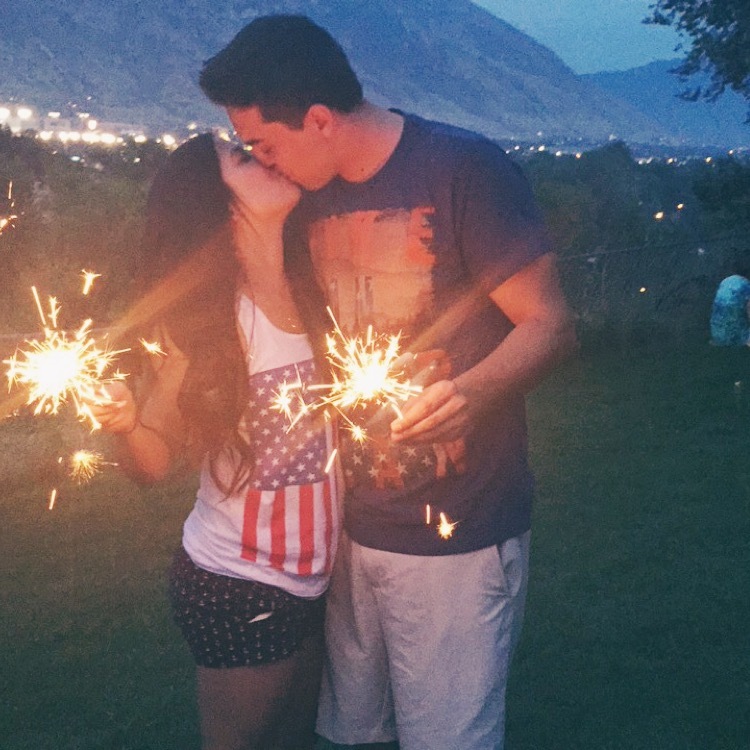 It was the cutest community of people all decked out in red, white and blue. 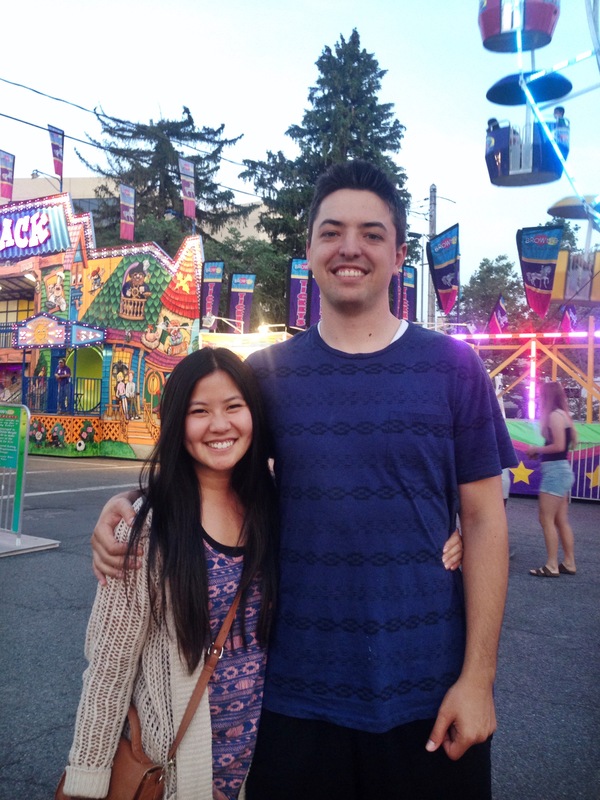 Steven has a good friend named Stephen Richards who was his mission companion in Houston, TX. (P.S. Stephen’s dad is the co owner of Creamies Ice Cream sooooo we ate a lot of creamies when we got there ) It was a cloudy nice morning for some basketball and I was ready to cheer on my cute fiancé! They won the tournament last year buttttt came in 3rd place this year… So sad, but it was just for fun & games. 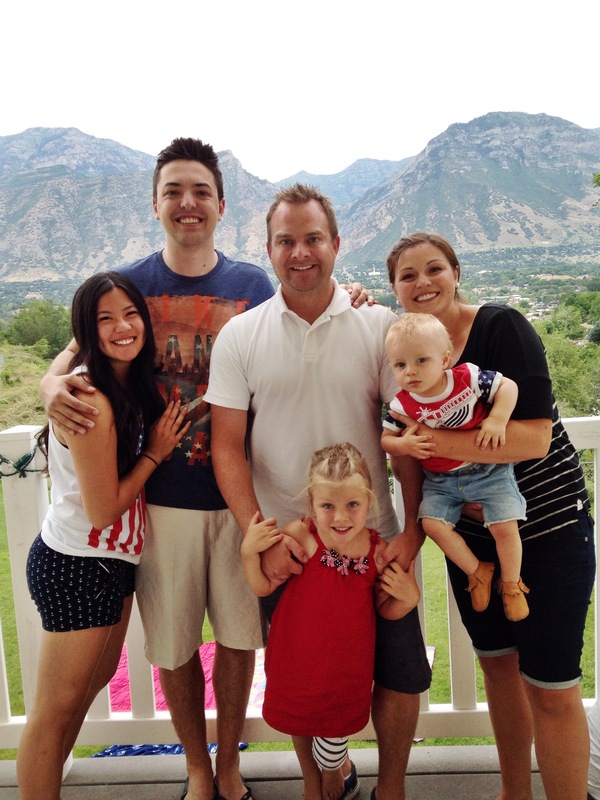 It was fun getting to know the Richards’ family because Steven loves them so much! Stephen’s mom was a former Miss Utah and his little sister was former Miss Teen Utah so that was pretty neat. They were so fun and easy to talk to! I hope they can make it to the wedding! 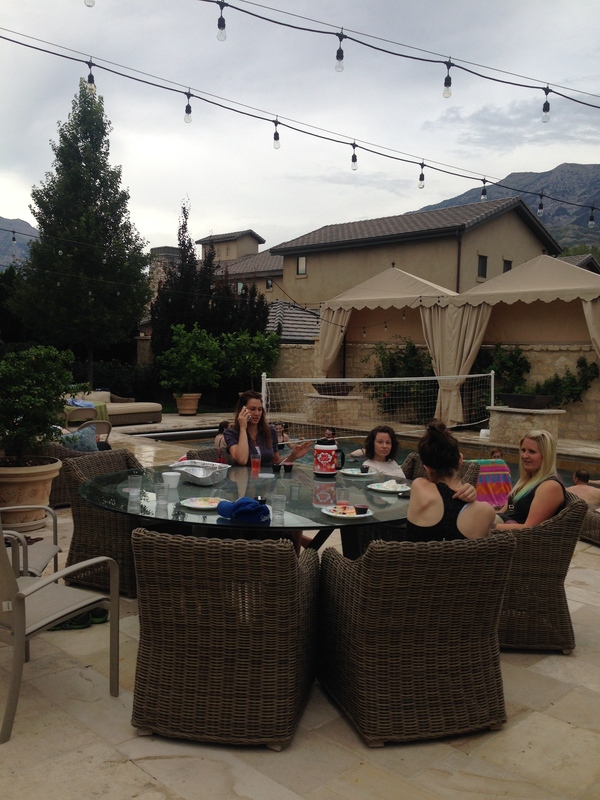 When we got back to Orem, we started getting ready for our little 4th of July party happening at my house! 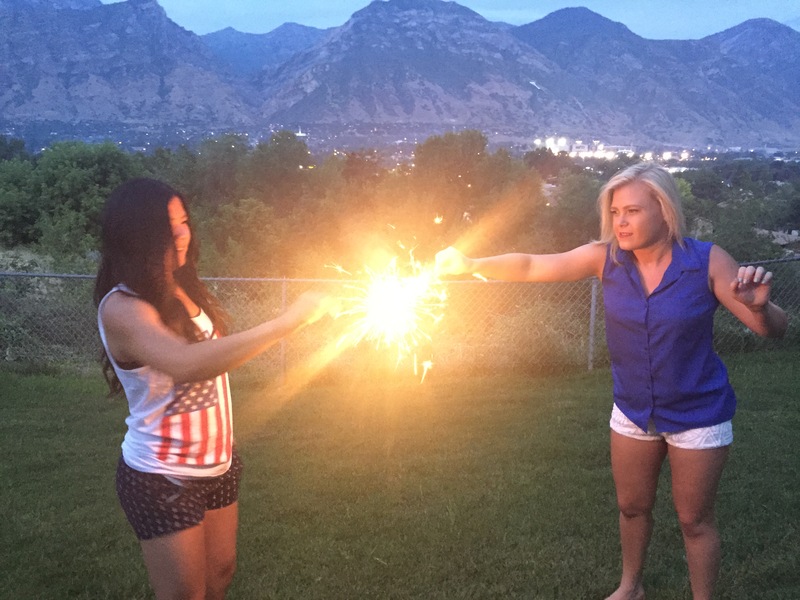 My town house has a perfect view of Lavell Edwards football stadium so we had a good view of the fireworks! 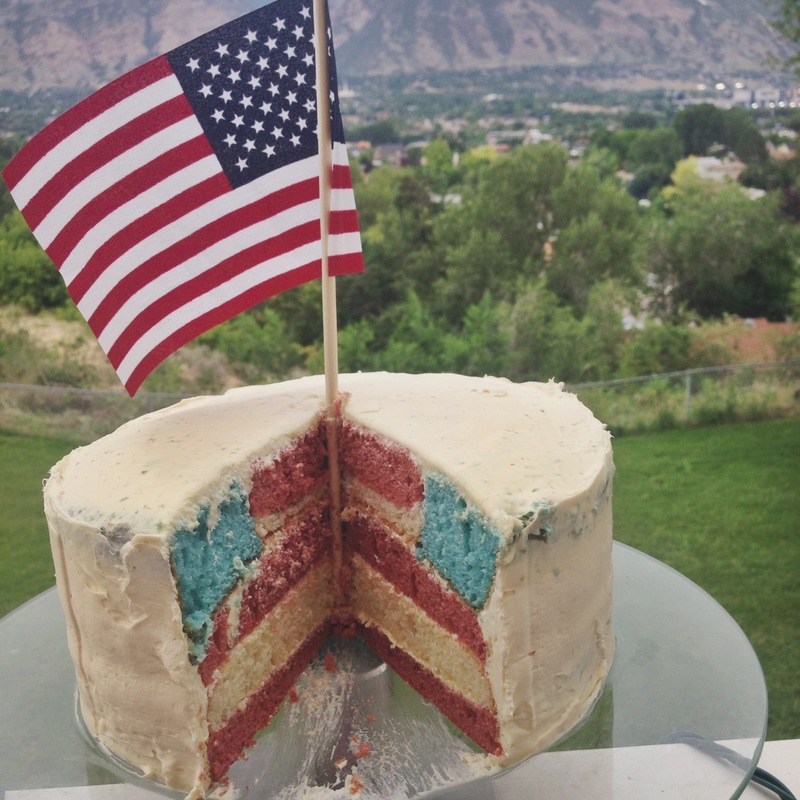 I made an American Flag cake (so happy it turned out so well!! 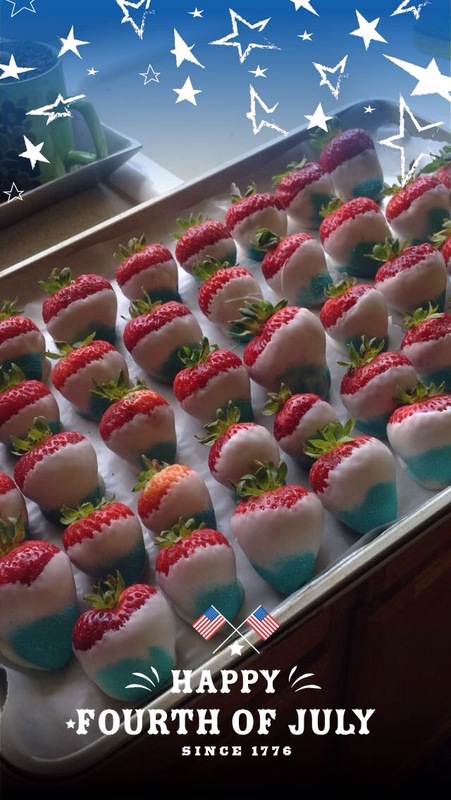 ), Red, white & blue chocolate covered strawberries, red white and blue rice krispy treats, bacon ranch potato salad, and homemade sloppy joes for everyone! & It was a success! We had about 15 people to show up. It was a nice intimate party so people could talk and get to know each other compared to my overly crowded dessert parties lol. I also bought Steven Bocci Ball & Corn hole as a wedding gift because he’s been wanting those games for a long time hahaha so he was a happy man that day! He set up bocci ball so everyone started playing that game at the party & it was just a fun time being with all of our friends! Our friend Anthony also brought a projector and outdoor screen so the guys were playing Mario Kart! My backyard was perfect for watching fireworks. 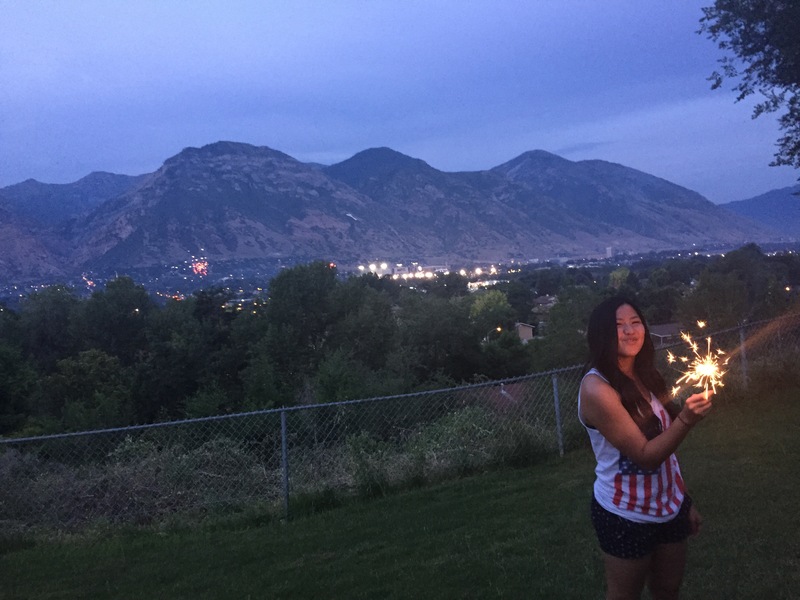 Not only BYU had fireworks but everyone below us in Provo were lighting up the huge fireworks and we got to see all of it. Seriously, so fun and relaxing! When the Stadium of Fire fireworks came on they were soooooo good! After the fireworks were finished, we ended the night watching “Independence Day” on the projector screen outside. HBD America, I think this year is going to be a great year! On Sunday, we go to dinner at Steven’s grandma Anne’s home. I love going there because it’s nice to have family in UT and basically she’s like my grandma now right? & her food is always SO AMAZING. We stayed and chatted with her, grandma Stella & Steven’s uncle Byron while learning how to make homemade pie! It’s so much fun listening to old stories from Grandma Anne’s past and how her life was back then. I love family!! 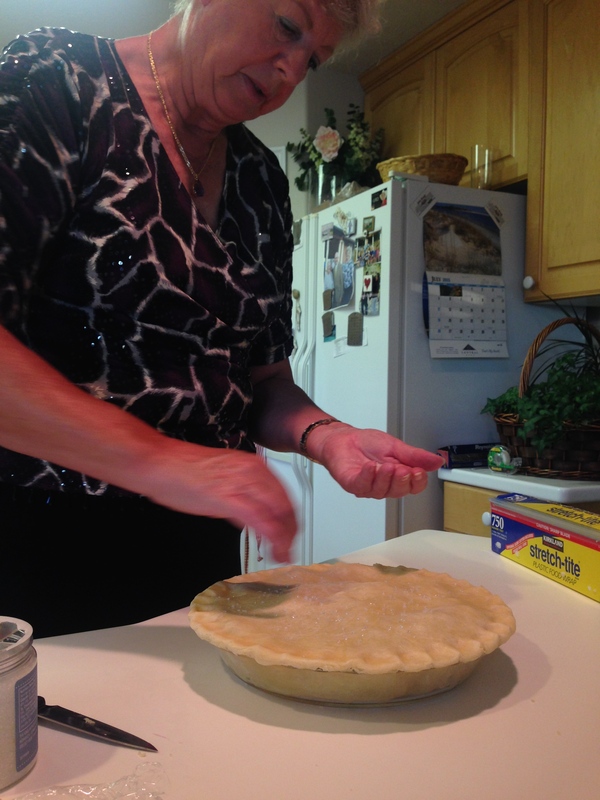 Grandma Anne making her blueberry pie & it was 2 thumbs up! So this past Monday, Steven, my roommate Natalie, & I went to my ward’s FHE because they were serving Terra Mia’s Italian food and it was a pool party. 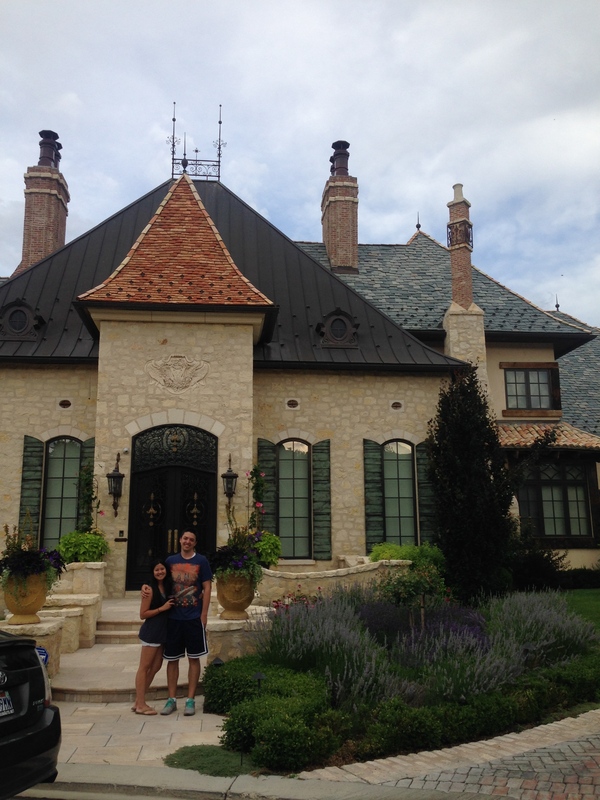 But, it was at the most beautiful home in Orem.. I think it was called the Berkshire neighborhood or something. I WAS DYING. 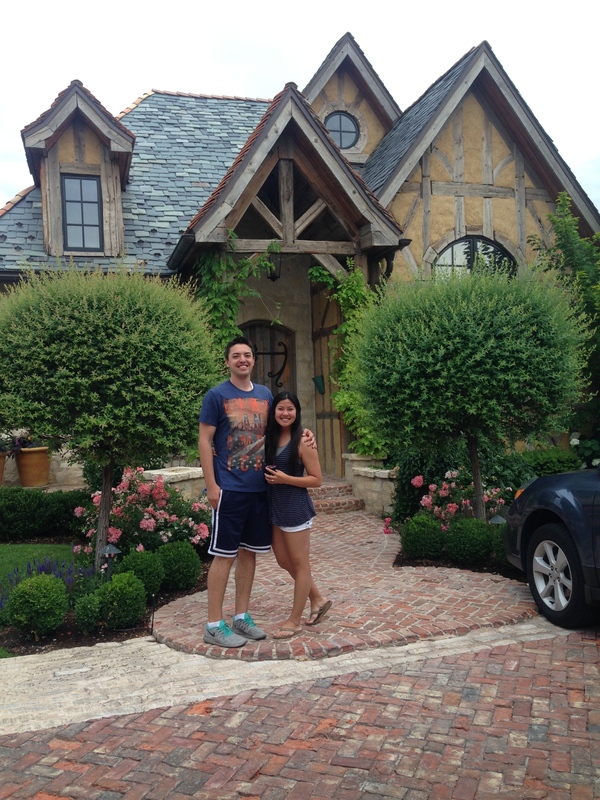 I loved their home!! Anyways, the funny part about that night is that one of the guys in the Bishopric asked Steven to speak in church. (FYI Steven is not in my ward hahhaha) Steven told him that and he’s like “I don’t care!” So he’s speaking in my ward in 2 weeks hahahahaha i’m so excited. Well, this blog post mostly was a journal for me to come back to when I get old hahaha but thanks for reading!! I love you all!!! how did you win a trip to California?? My friend actually won the trip through Pacsun, the retail store because she worked there! She got to bring one friend and I was the lucky friend that got to go!